Lueder Construction is an Omaha-based construction firm that has been shaping the city’s skyline since 1884, growing with the community to become one of the most trusted commercial builders in the region. 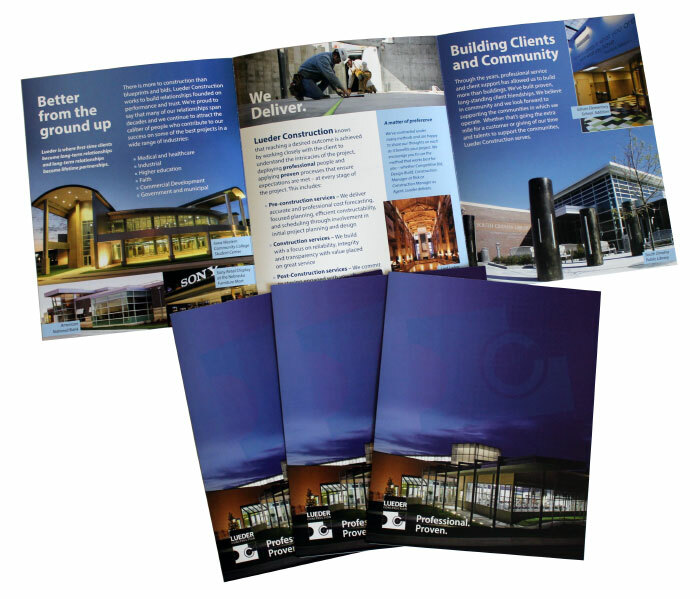 The challenge for Lovgren’s creative team was not just to design them a corporate brochure, but to come up with a tagline to describe what they do and how they do it. 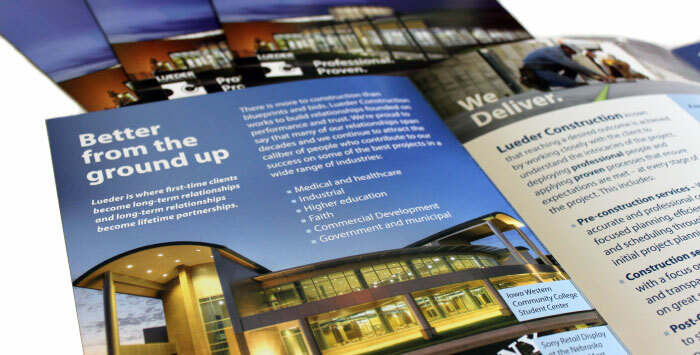 The result: a three-panel, 24″ wide brochure printed on glossy stock showing off their beautiful construction work, and a new tagline — “Professional. Proven.” that perfectly sums up Lueder Construction.